Jesus will not allow us to be Marcionites. He does not cast the Old Testament, or its God, aside. The book of Matthew was written to demonstrate that Jesus was the Messiah, the one promised by the Old Testament. Matthew wrote his gospel for the Jews, knowing that they believed the Old Testament to be God’s word. So he quotes from the OT extensively to prove his point. Similarly, Peter, preaching on the day of Pentecost, quotes extensively from the Psalms and the prophet Joel to help make his point about Jesus being the Messiah. Jesus quotes extensively from the Old Testament. But He interprets it differently from the way His contemporary Jews did. He seems to go deeper, to see the intent of God behind the words, while the scribes, the teachers of the Law (the Bible scholars of the day) focused on higher-level interpretations that better served their purposes. This difference in approach puts Jesus in conflict with the scribes. Jesus’ teachings on divorce and remarriage (Matthew 19:1-11) are a great example of this. Jesus is talking with the Pharisees. Their major concern is the permissibility and the process of divorce. Jesus quotes the Old Testament – from Genesis and from the laws of Moses – to try to help them understand the meaning behind the words, and that they’ve missed the point entirely. The apostle Paul teaches extensively from the Old Testament. For example: in the book of Romans Paul uses the story of Abraham’s relationship with God (see Genesis 15) to help us understand that the righteousness that God desires comes by faith, and it has always been that way, in both the Old and New Testaments. 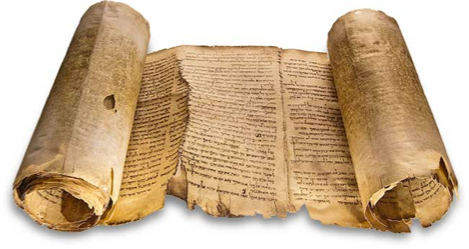 The book of Hebrews was written to people who believed that the Old Testament is the authoritative word of God, but they did not understand it properly. They were like us; they couldn’t understand the relationship between the God of the Old Testament and the God of the New. For the author of Hebrews, the two are the same God, and he spends 13 chapters explaining it. The whole book is about the Old Testament, and all 13 chapters refer to it and quote from it extensively. Hebrews is helpful to all of us as a guide to understanding the Old Testament.